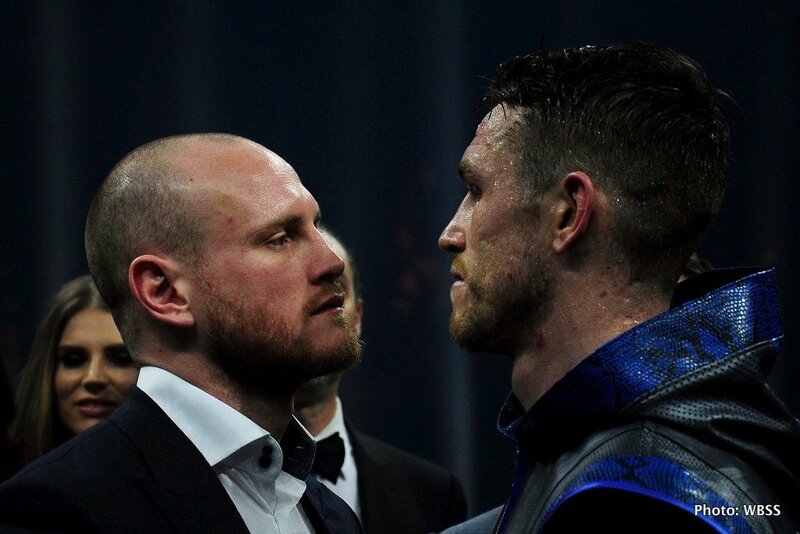 WBA super-middleweight ruler George Groves has provided an update on the status of his injured left shoulder. Groves, who injured the shoulder in the final minutes of his commanding decision win over Chris Eubank Junior just over a week ago, tweeted this morning how he will go to hospital this morning for what he says will be “a minor operation” on his shoulder. “Morning boxing fans. This morning I go in for a minor operation on my injured shoulder. The good news is I’ll be fit to fight in the final in July. We will be applying to the @WBSuperSeries for a one month extension and are hopeful of securing this,” Groves wrote via social media. As fight fans know, Groves is set to face fellow British fighter Callum Smith in the WBSS grand final; Smith earning his place in the final with a pretty tough but quite clear (on the cards) 12-round UD over late replacement (for an ill Jurgen Braehmer) Nieky Holzken in Germany on Saturday night. The final was to have gone ahead on June 2, but now, if Groves gets his wish, the final will instead go ahead some time in July. It is yet to be seen how the folks at the WBSS will react to Groves’ request, but in all likelihood it seems Groves’ wish will indeed be granted. Groves-Smith is a big all-British fight, and with the sheer guts Groves displayed to earn his slot in the final it would be a real shame if a replacement foe was brought in to face Smith instead. And Smith, unbeaten at 24-0(17), really wants to fight Groves, and has done for some time; since the WBSS tournament was first announced. Groves holds a win over Smith’s brother, Paul Smith – and Callum wants very much to avenge the family name. One month is not too long of a delay, and hopefully the Groves-Smith final will go ahead then. Both fighters have more than earned that.